If Your Life Were an RPG, What Character Would You Be? When I was young, I was very much into console games, particularly RPGs. Some all-time classics I love to this day are the Final Fantasy series (especially FF7, FF8, and FFX), Panzer Dragoon Saga (Saturn is totally underrated), Shining Force (Sega 16-bit! ), Phantasy Star IV, and Chrono Trigger. For non-gamers reading this, an RPG is a role-playing game. In an RPG, you assume the role of the hero and embark on a journey that typically starts off innocuous (e.g. go visit your good friend Lucas in his house) but eventually explodes into epic proportions not unlike saving the world and being humanity’s last hope against the ultimate evil. Along the way, you are assisted by an ensemble cast of followers/sidekicks. 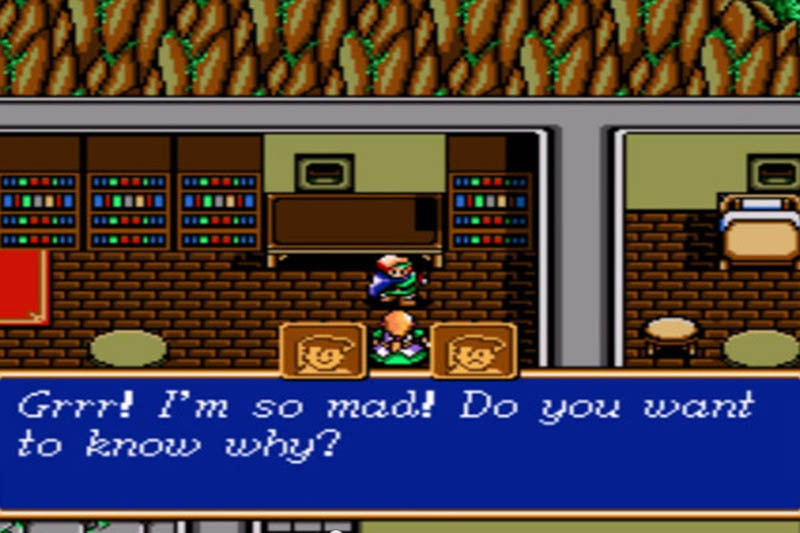 You also interact with NPCs (non-playable characters) throughout the game, such as the shopkeepers in the weapon and armor shops, civilians in towns, housekeepers in inns, and servants in the castle. Now let’s imagine – If your life were an RPG, what character would you be? Would you be the hero? Would you be the sidekick? Or would you be the NPC? Let’s take a quick look at how each character is usually typified in an RPG. For simplicity’s sake, I’ve used the male pronoun, though the character can be male or female. The Hero embarks on quests in pursuit of his goals and dreams. He is a quick-learner and self-starter. He has a vision on what needs to be done and will go against all odds to achieve it. Even when he faces obstacles that set him back momentarily, he gathers himself, engages the help of others if needed, and eventually overcomes these obstacles. Despite overwhelming odds and countless curve balls thrown his way during his journey, he is persistent, resilient and keeps fighting on. In the end, he overcomes all odds to achieve victory — something which many touted as impossible at the beginning. Throughout the journey, the hero dramatically evolves from a naive, uncertain, and insecure apprentice to become a remarkable, admirable individual of strength, wisdom, knowledge and compassion. The Sidekick is an earnest and hardworking individual who devotes himself to doing his best job. He sometimes thinks about his goals and dreams but never takes the step to pursue them, for some reason or another. He sees the hero embarking on his quest and decides to join him. The sidekick watches as the hero formulates his vision, then dedicates himself to supporting the hero. While admirable for his loyalty and support, this sometimes comes at the expense of himself, as he pushes away his needs to help the hero (or anyone really) realize his. Throughout the journey, the sidekick grows and evolves as a person; however his potential is never fully maximized because he never allows himself to step up into the position of the hero. The NPC leads his life in a cyclical manner. His life can basically be summed up as the same, few mundane activities that he does every day. Every time the hero starts a dialogue with him, he says the same one to two lines over and over. He walks back and worth within the same few square units of the ground each day, be it in town, shops, houses, or inn. One can presume that he doesn’t spend much time, if at all, thinking about what he wants. Instead, he lives vicariously through the life of the hero. The NPC’s life is basically shaped by in-game events led by the Hero. If you strip away the fantasy elements and the medieval-like settings in an RPG, an RPG from its protagonists to its plot is actually designed to mirror aspects of you and your life. Game developers factor this into account when designing games because they want to appeal to the gamers as strongly as possible. This creates affinity between the gamers and the game when they play it, leading to high utility and continual purchase of future titles. The reason why such games appeal to us because it speaks to the hero in all of us. It speaks to the hero in us who wants to take charge of our life, pursue our dreams, and change the world. After all, all of us have visionary goals and dreams that we want to bring to life. All of us have passions that we want to pursue fully without anything holding us back. All of us have this idealistic and free-spirited streak that screams for us to “Just do it!” without being bounded by our fears and demons. But somehow, when we switch off our game consoles and return to reality, we become bound by fear. Fear of failure, fear of scrutiny, fear of uncertainty, fear of rejection, yada yada. We let ourselves be cluttered with a truckload of excuses, like having no time, no money, no support, no ideas, and no energy. Somehow we always seem to have time to justify and excuse ourselves, but we never have time to act. To you reading this: which RPG character are you? Are you the NPC who sleepwalks through the same routine every day? Are you the sidekick who pursues others’ goals, puts his/her dreams on hold, and lives under the shadow of someone else? Or are you the Hero who steps out, in spite of the countless obstacles that stand in your way, to carve the life you want? Honestly, if you don’t know your purpose, find it. If you can’t find a way to pursue your passion, create that path. If you don’t know how to achieve your goals, create your plan to make them happen. Hey, it’s your life at the end of the day. Remember, you have the power to choose and create your own destiny. You have the power to do whatever you want. Don’t let yourself become a mindless NPC who drones through life. Don’t live the life of a sidekick, helping others to pursue their goals but neglecting your own. Be the Hero you are meant to be. Remember this: As your life’s hero, as long you know your path, embark on it, and persist in your journey, nothing can stop you. And I mean nothing. Everything in the universe will fall into place to help you achieve what you want, as long as stay true to your goals.